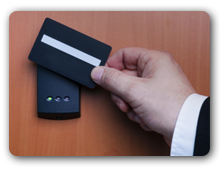 Increasingly with multiple application running on the same smart card ID Tech has perfected the art of creating a single card with Dual Inlays which are also known as multi frequency cards. So a single card could contain a HF Inlay for secure transactions and the limitation of being read over a distance could be achieved by a UHF Inlay. Embossing with gold, silver, or black tipping (other colors available for 5k or more). For diecuts/special shapes and sizes, some restriction may apply. Please email us the dyeline before you create the artwork for your custom shape.